The first time I ate this rice was at a park potluck picnic. A number of families gathered with our very small children trying to eek out some semblance of a dinner party while our children ran wild over, under, and around the play structure. It truly is the perfect potluck dish- full of interesting flavors and textures, stays well at room temperature, and is quite easy to whip up in advance. Since that night, this dish has become my secret weapon. It starred at not one, but three baby showers that I threw over the last few years, pairing beautifully with an Asian chicken salad. It has also been a hit at multiple potlucks. 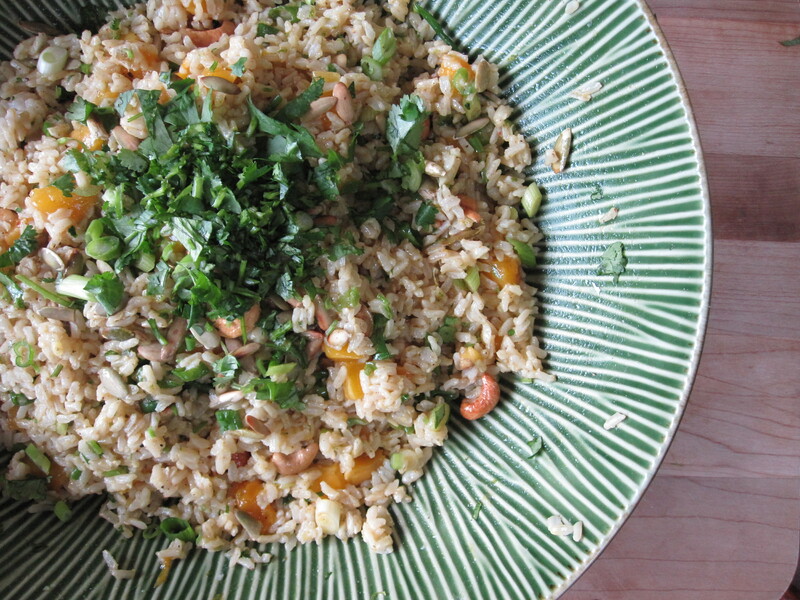 Curried Mango Rice with Cashews could not be easier to make. Cook up some brown rice and let it cool. Mix together a dressing with curry paste and lime juice. Then toss it all together with diced mango, toasted cashews, and crunchy pepitas (pumpkin seeds). 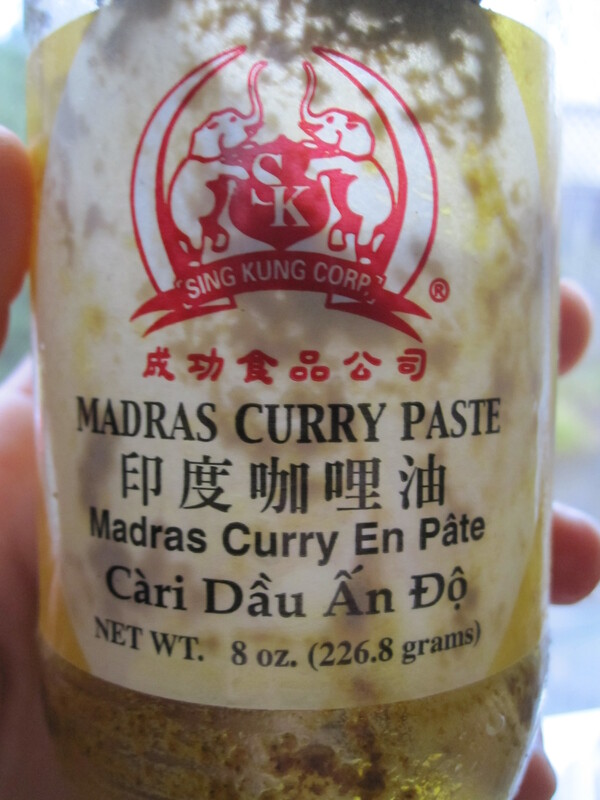 Since the dressing is not cooked, it is important to use curry paste, instead of dry curry. The paste has been cooked a bit in oil in advance. Regarding the mango, this time of year it is easy to find fresh mangos in the market, but to save time or make this out of season, look for mango chunks in the freezer section. We buy them at Trader Joe’s to make in this rice and add to smoothies or oatmeal. The holidays are upon us. Anticipating a busy couple of weeks, we have transformed our home into a full-fledged Christmas scene. The tree is up, Santa Lucia is perched on the buffet, and the winter mugs in the morning coffee rotation. While trying to convince the over-eager children that it is too early to start hanging ornaments on the advent calendar (whose idea was it anyway to decorate for Christmas in November? ), we have been brainstorming ideas for edible holiday gifts. I love making edible gifts for just about any occasion. Cooking for others is a way to treat those we appreciate with a delicious treat and share a bit of ourselves in the process. It is best to plan ahead and start cooking early so that the making and giving does not become a stressful burden. 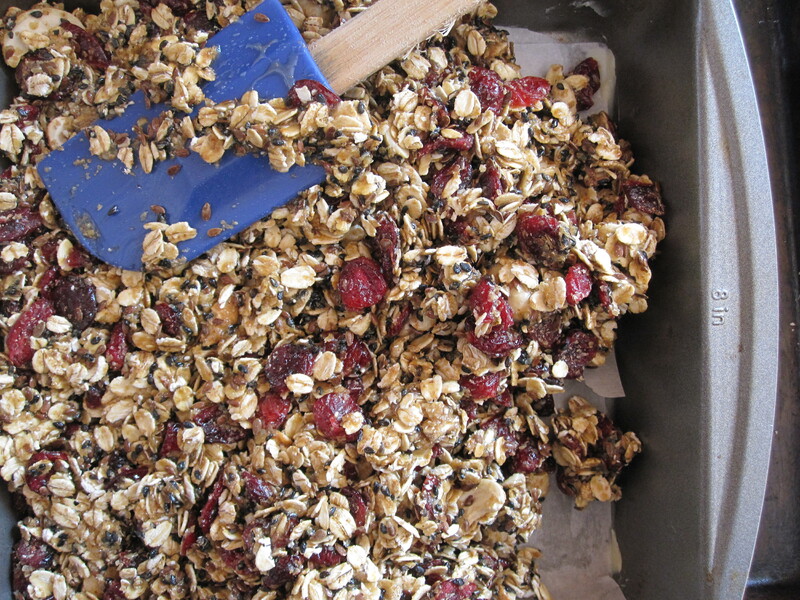 Riding the food hangover following Thanksgiving, our first foodie gift to make was Cranberry Cashew Granola Bars. 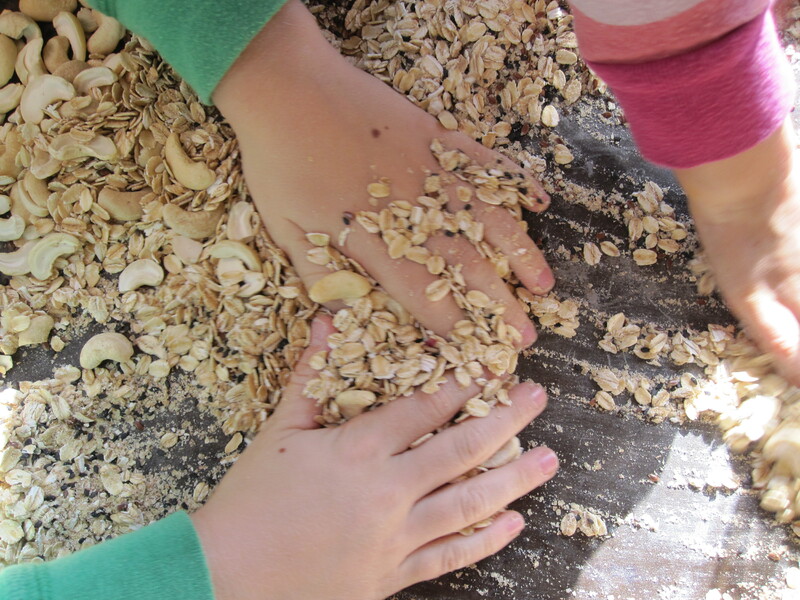 These granola bars are just sweet enough to count as a treat, but full of wholesome ingredients so they are also right at home in your little one’s school lunch bag. The bars hold together pretty well, better than other granola bars I have tried. 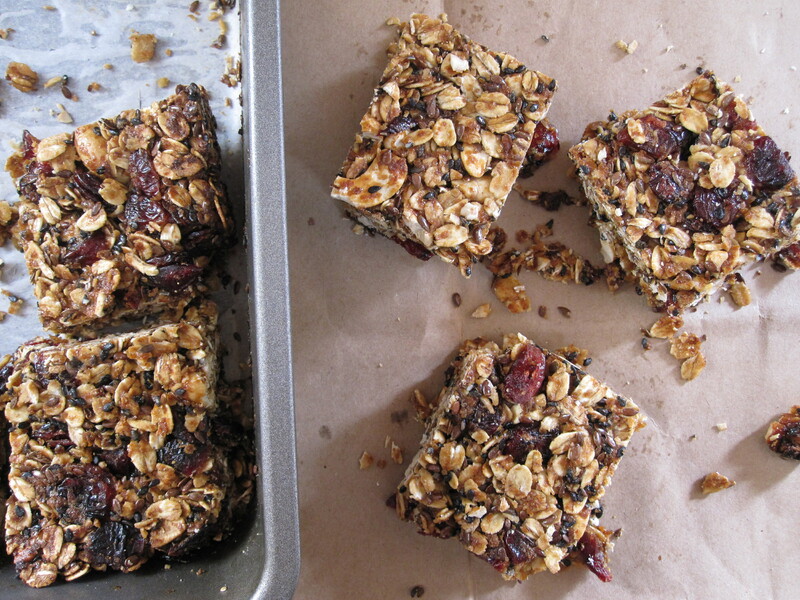 Any crumbly bits taste tremendous sprinkled atop yogurt and fruit for breakfast. Feel free to change up the types of nuts and dried fruit, just be sure to use equal quantities. If you are using roasted nuts or toasted wheat germ, do not toast them again in the oven, instead add those items to the bowl with the cranberries.